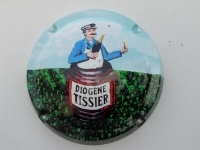 Established by Diogène Tissier in 1931, the grandfather of Vincent who is the current winemaker. Vincent is loyal to the family tradition and creates champagnes by the pure, traditional method. The weeds in the vineyard are not controlled with chemical herbicides. The plough or a defoliant that is sprayed on the weeds only, are the only means that are used in the vineyards. This method gives the wine a more mineral and floral flavor. Each plot in the vineyard is cultivated in a sensible way and all that nature provides, is used. 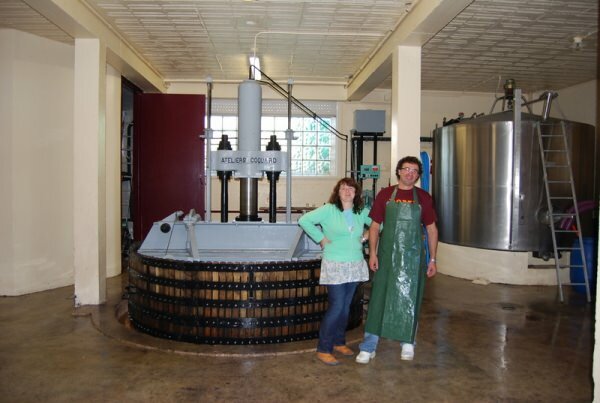 The wine press is a traditional system of 4000 kg. 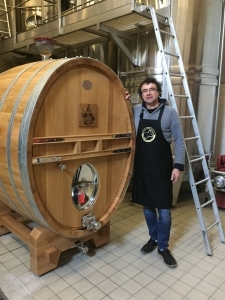 The champagnes develop in inoxen fermentation barrels that were put into use in 2011. Some cuvées ripen in oak barrels. 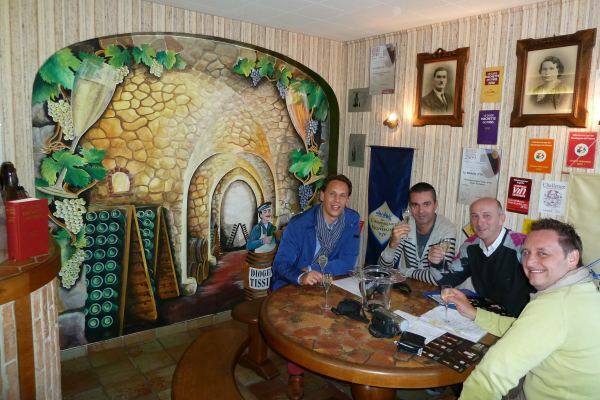 The warm and cordial welcome certainly is the most important asset of this family champagne house. 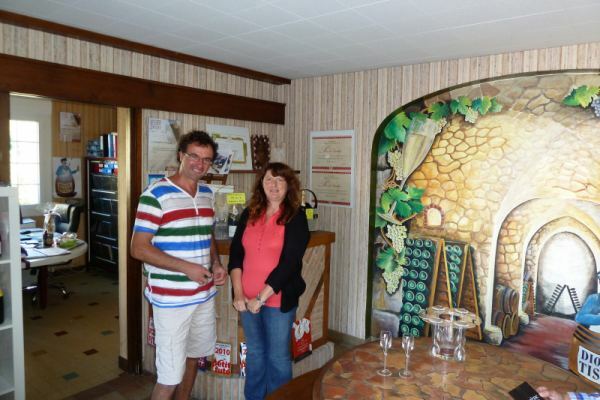 Nathalie and Vincent receive you all year round, from Monday to Saturday, from 9:00 to 12:00 and from 14:00 to 17:30. Almost the entire production is sold to private visitors: 70% percent of it is savored in Belgium. Fascinating fruity nose that evokes aromas of stone fruit and grapefruit. In the mouth, flavors of young fruits that reveal a lot of freshness and elegance. The Carte Blanche is also available in Demi-Sec. Fine nose, candied red fruit and notes of hazelnut in the mouth. Balanced, powerful, round with a long aftertaste. A subtle and sophisticated champagne, suitable for any occasion. A nose with character, fresh and young. Aromas of citrus and white flowers. Round and balanced on the palate, smooth champagne which is characterized by a rather fresh and fruity finish. Intense nose, notes of ripe yellow fruit and fresh flowers. A champagne with 'spring airs', a mature and rich taste sensation. Initiates a pleasant buttery taste in the mouth. This turns into a persistent freshness and the finale is long and aromatic. This champagne is harmonious, balanced and supple. A bright, raspberry pink dress. Intense nose with a whiff of stone fruits like cherries and a toasted hint. A smooth and balanced champagne with a huge roundness, a sensational revelation of fruit, lightly concentrated in the mouth at the end. A white golden dress with silver sparkles and fine bubbles. 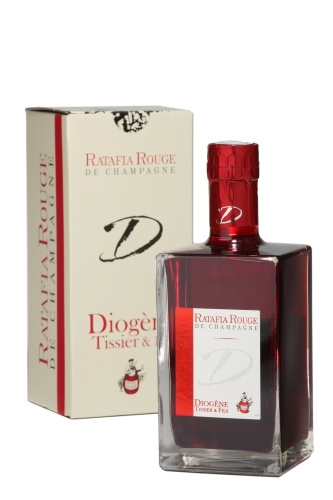 The nose is seductive and remarkably fruity, fresh red fruit and intense aromas of forest fruits. A soft, delicate champagne with fine, velvety bubbles. The finale is harmonious and is characterized by the fruit. Matured in oak barrels from the Champagne region. Intense gold dress with fine bubbles. A fruity and aromatic nose, notes of baked white fruits like apple. A powerful and rich champagne with a great freshness in the end. The juice of the Pinot Meunier and an 'eau de vie champenoise' form the basis of this aperitif drink. Serve fresh and try it with melon and Parma ham. By soaking the Pinot Noir grapes a red juice is obtained. Here one adds an 'eau de vie champenoise' and Marc de Champagne to it. Serve this special Ratafia fresh and taste it with a chocolate cake or a cake with red fruits. Thanks to the special square shaped bottle and elegant box, this bottle is also a nice gift. A year to forget ... 2003: freezing to -9° C on the 11th of April and then a heat wave during the summer. Result: a yield of only 2,500 to 3,000 kg of Chardonnay grapes per hectare. The vineyard I would like to own ... Vacqueyras, Gigondas, Châteauneuf-du-Pape, ... I love the Côtes du Rhône. My favorite champagne ... Mine of course! Why should I look elsewhere? My favorite beer ... Belgian beers: Duvel and Chimay. My favorite season ... Autumn, the nature arrayed in the most beautiful colors.